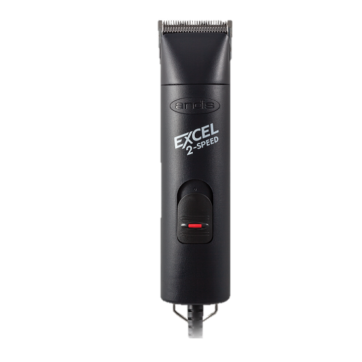 The Excel 2-Speed Clipper with detachable blades has all the same great features as the original BG Detachable Plus. Equipped with a #000 Ultra Edge blade set. With a 2-speed rotary motor and a new contoured design for more styling control. 22 additional blade sets are available for cutting and styling versatility.